Find a recent interview with me on Bontena. Fun to be featured. 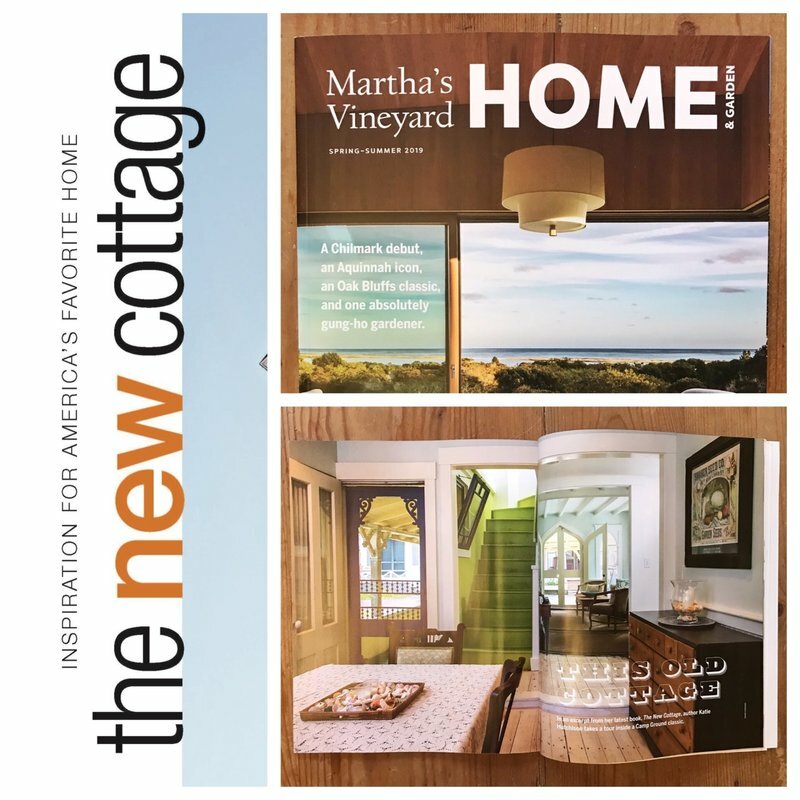 Pick up a copy of Martha's Vineyard Magazine Home & Garden spring-summer 2019 for an excerpt from The New Cottage featuring an Oak Bluffs Campgrounds gem. On newsstands now! Find news of my upcoming events in the “INFO” tab in the navigation bar on my website. Next up on my schedule is a book talk and signing of The New Cottage from The Taunton Press to be hosted by The Barrington Library. Hope to see you there on March 26 at 6:30 pm! Fun to see my latest book from The Taunton Press highlighted in Newport Life Magazine. Happy to see my latest book The New Cottage from The Taunton Press and the many RISD folks featured within it mentioned in the current fall/winter 2018/2019 issue of RISD XYZ alumni notes.